For those of you who don't know, South by Southwest is a 10-day long music, interactive and film festival that takes place at venues around the whole city. Thousands of people flood Austin and line up outside the convention center downtown to register for their passes that will get them into panel discussions, concerts and movie screenings throughout the fest. So for the first few days of SXSW, I pretty much avoided all the madness. As the fest has been growing each year, traffic has been getting messier downtown, so I didn't feel like riding my bike there and risking my limbs. Until South By's final weekend. 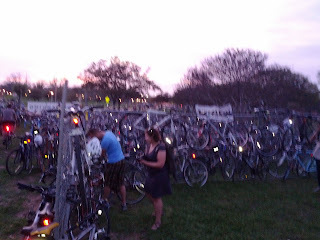 The bike lot was PACKED. It was a little tough finding a spot to lock Shamu up. The band FEAR at the Scoot Inn. 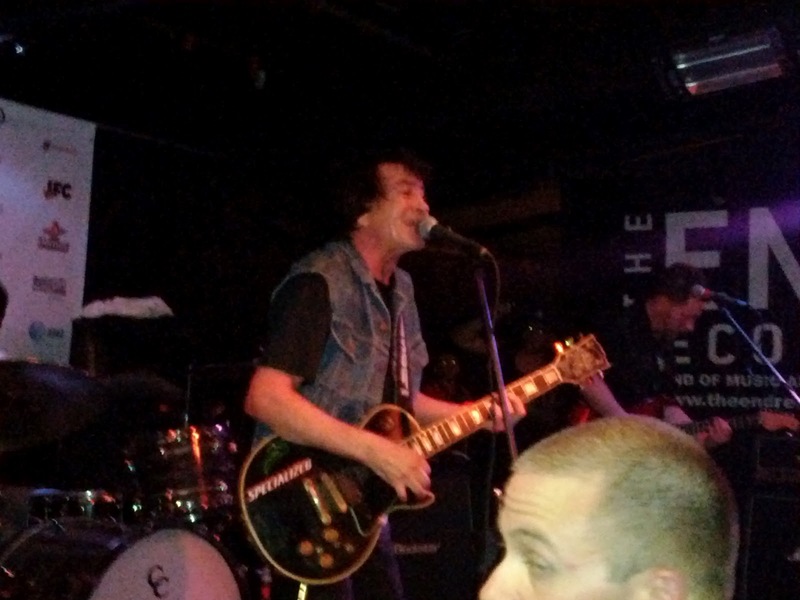 One of the original punk bands, from California. Rode my bike downtown to see these crazy guys same night as the Shins show. 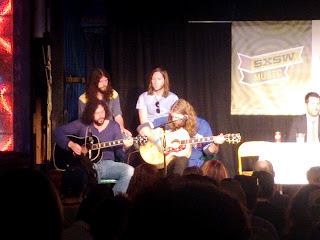 The next day, I saw The Sheepdogs acoustic set at Esther's Follies during the live Sklarboro Country podcast. Classic rock-sounding band from Canada. The long-haired guys were on the cover of Rolling Stone last summer. Good to listen to while sitting on a porch drinkin beer. I've been watching/listening to these guys for a LONG time. 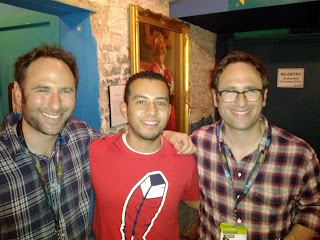 The @SklarBrothers have a hilarious podcast where they talk about ridiculous stories that usually come from the sports world. Right up my alley. 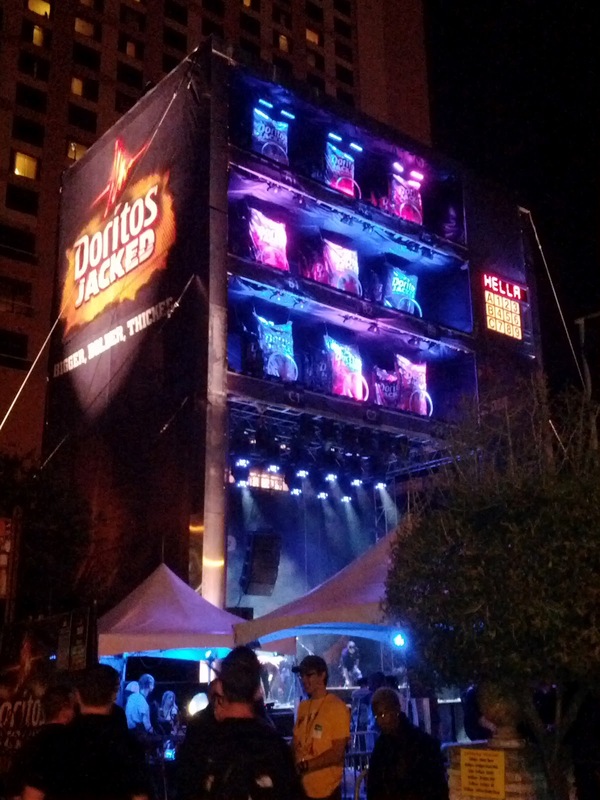 This is a gigantic Doritos vending machine/stage, of course, right in the middle of 6th street downtown. 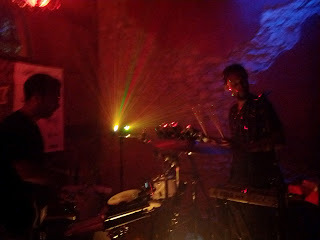 @TheKnocks at Karma Lounge 3.16.12. This duo came from Brooklyn to play a rare live set of their electronic pop songs. I danced, a lot. And for those wondering, I NOT did go out/drink at all the next day for St. Patty's Day. A few of us went to Zilker and played volleyball then went out to eat. Too tired to get into trouble like my high school days. So overall I had a blast for my first South By. Crazy how trashed downtown gets with all the people, but the city cleaned up good. Can't wait for next year.